The new AMG Giro turntable features the AMG 9W2 9” tonearm and brings AMG’s sonic and visual excellence to a new, more affordable price point. The belt-driven platter is a combination of synthetic and aluminum materials and uses the decoupled spindle design of the highly-acclaimed AMG Viella turntable. Similarly, the platter bearing is a scaled version of the Viella platter bearing. The Giro’s “double circle” plinth is machined from aircraft-grade aluminum and features both 33 and 45 RPM via electronic control. The Giro’s circular plinth is machined from aircraft-grade aluminum and provides both 33 and 45 RPM via electronic control. It shares the high-mass stainless steel machined pulley of the V12, coupled to a precision Swiss-made DC motor. 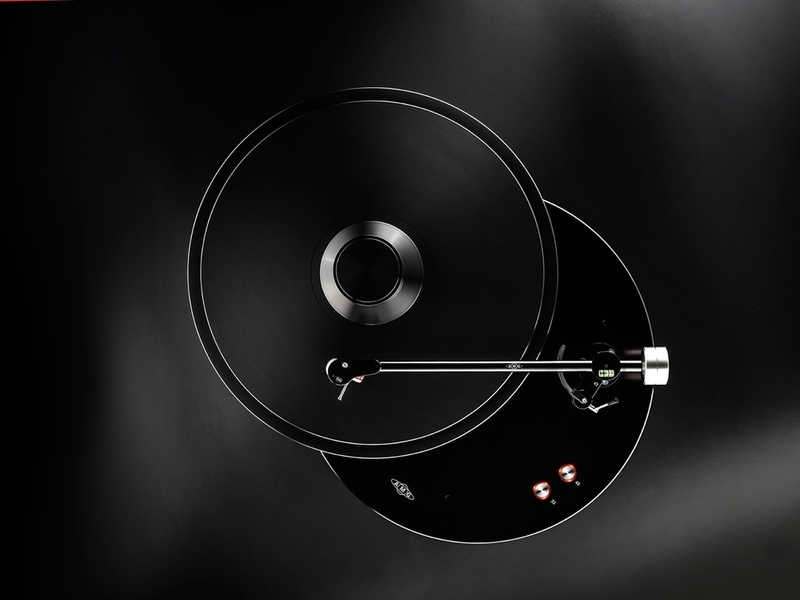 The belt-driven platter features the single piece construction and decoupled spindle design of the Viella turntable. The platter bearing, a hydrodynamically lubricated radial 16mm axle with PFTE thrust pad and integral flywheel, is a scaled version from the Viella. The Giro uses the 9W2 9” tonearm with the identical, revolutionary bearing design of the 12J2, scaled for the arm length and the Giro’s smaller footprint. The Giro from Analog Manufaktur Germany is an elegant high performance turntable providing exceptional music reproduction and value for vinyl enthusiasts.